Time to get ready for the Holidays--before the leaves even drop from the trees? The holidays can be a time when we come off our budgets and the spirit of the season takes us over and may lead us away from our budget discipline. After all, who can say no to a 3-year-old holding a colorful newspaper advertisement with everything circled in blue crayon? I can’t. Even with the holidays months away, there is lots that we can do, today, to ensure the holidays are a happy and financially responsible time. 1. What is Our Budget and/or Spending Limit? Too often, holiday spending starts with what we want and then we realize, after we have been spending, we can only afford so much. Sit down with your significant other and get a good understanding of income, expenses, and any other unanticipated items. Finally, make it a point to agree on a number together and to stick with it. Make sure you do a budget check-in every few weeks to make sure you stay on goal. 2. What Is the Focus for This Year’s Celebration? Do you plan to travel and see relatives, stay home, or go on a ski vacation? Travel will reduce your budget for presents, so you need to plan to incorporate the additional expense of hotels, flights, and rental cars. A family focus helps set expectations for the holidays and make sure the family focuses on the reason for the celebration and not the pile of presents. 3. What Does Everyone in the Family Need or Want? Understanding and creating a list for everyone’s needs and wants is the first step. To do this, take a stack of blank 3” X 5” cards and write the name of the family member, the item, and the expected cost. Next, lay out the 3X5 cards on the floor for each person’s name in a vertical line. Move the cards up and down the vertical line so the most important item for each person is at the top, followed by the next important, and etc. This is a great way to visualize the entire expense associated each person on your list. 4. Use the Web & Physical Stores Together to Find the Best Prices. When your list is finalized, then determine where (physical store or online) and the price to purchase all of your items. Instead of going to a store to browse, pre-find all of the things that you want to purchase and write those items to a list. Browsing in a store is an easy temptation to be overcome by wants versus your careful planning. A list gives you a direct plan to go to a store, purchase two items, and then leave so you maintain your budget discipline. 5. Don’t Forget a Budget Item to Donate Your Time and Money to Charity. Don’t forget to budget your time and money to donate to those less fortunate. Helping with toy drives, heating funds, and other efforts are a great way to truly bring everyone in the family together and remain in the holiday spirt. Teaching children about the importance of charity and helping others is a great reminder of the true meaning of the holiday season. 6. Start Selective Shopping. The Wall Street Journal ran a feature article a few months ago and discovered that some of the best discounts for items were months to weeks BEFORE the Black Friday shopping week. Also, make sure that you do not remove tags and check store return policies so that you can return items if you discover a reduced price or change your mind on the item. 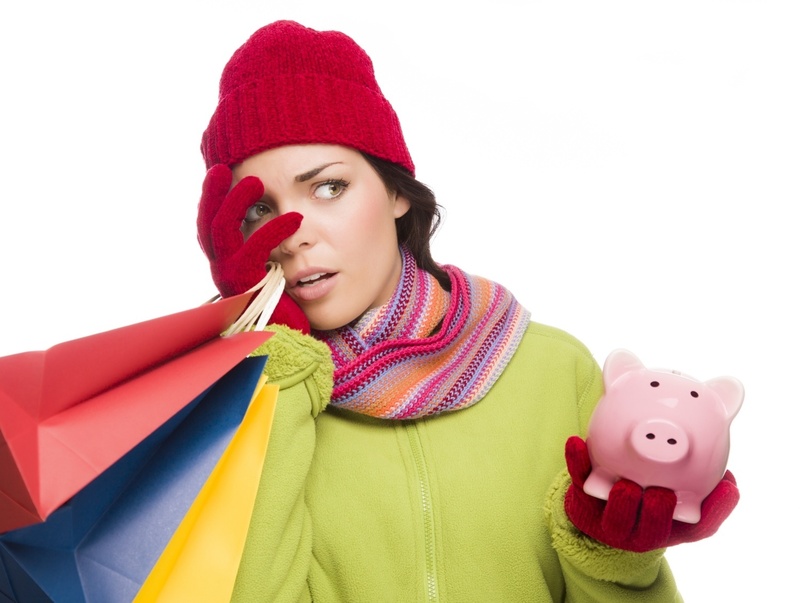 A large part of reducing holiday shopping stress is to get a head start on holiday planning, budgeting, and shopping. The most important part of holiday shopping is to set a limit with your significant other, have honest conversations, and to stick to your plan. Have a happy holiday! Content courtesy of USAA. Used with permission.